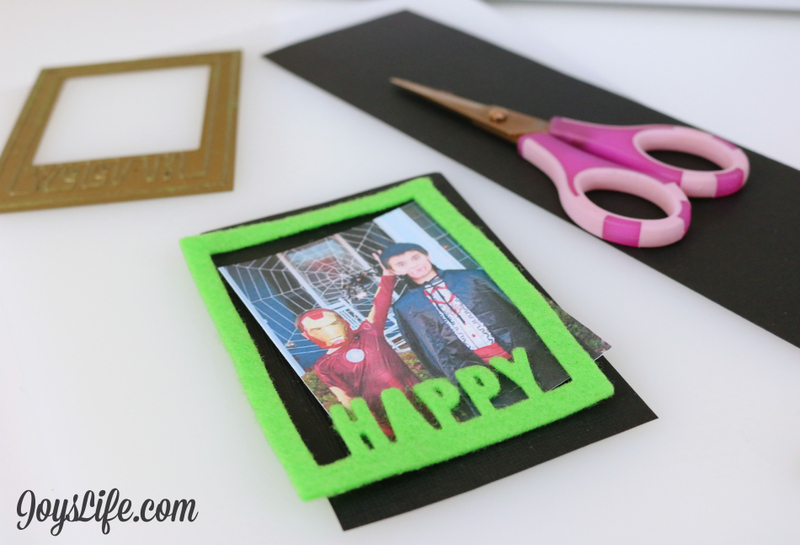 We have a fun project tutorial for you today! 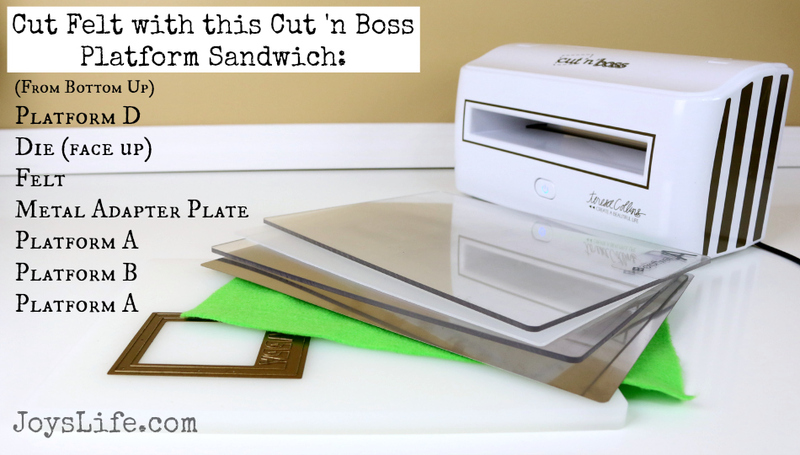 The talented Joy Dickson shows you how to cut felt using the Teresa Collins Cut 'n' Boss! See the project details below! Hi Friends! 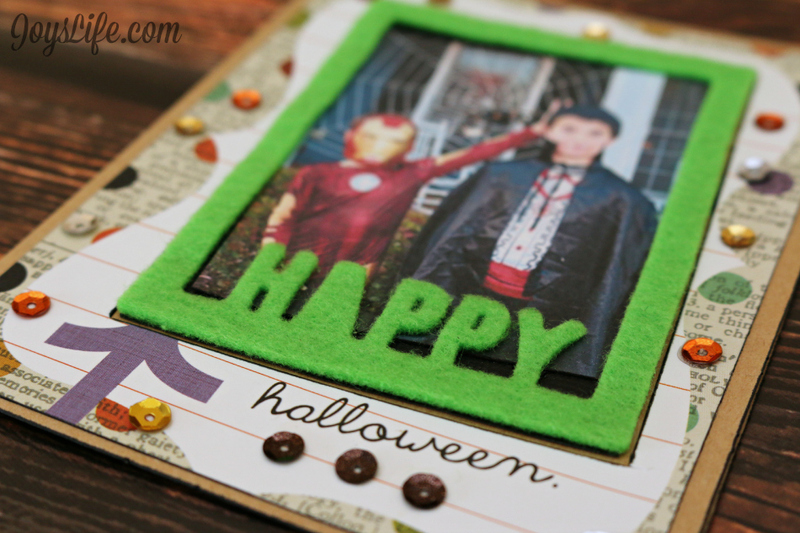 It's Joy from Joy's Life.com here today to share a fun felt Halloween project with you! I love this picture I took of my sons back when they were shorter than I am. It looks like Iron Man should probably have slept with one eye opened. LOL! It was super fun making a frame for this using a bit of the ton of craft felt that I have on hand along with the Craftwell Cut n' Boss. I made this easy to reference felt "sandwich" image so we can all remember the setup. Here's a link to a .pdf of more Cut 'n Boss platform combinations. 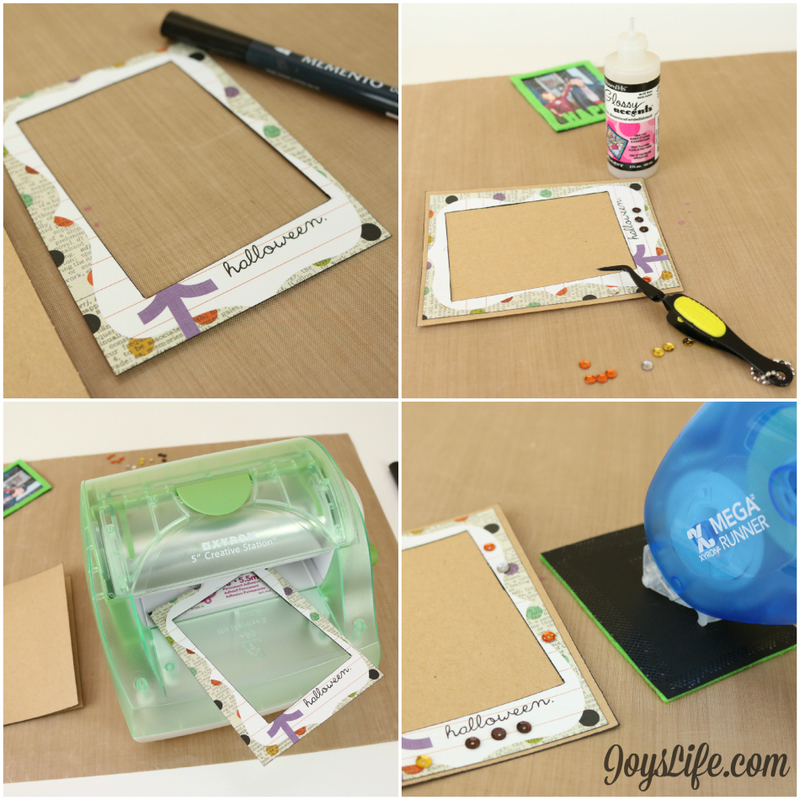 I'm using the "happy frame" die from the Teresa Collins Lifestyle Die Collection. Can you believe how well that felt cut? I am so impressed!! It even cut out the tiny centers of the letters. Now, just so you know the letter "A" is made as a solid in this die, so that's exactly how it should look. I printed out that photo of my boys and mounted purposefully sideways to a black piece of cardstock. 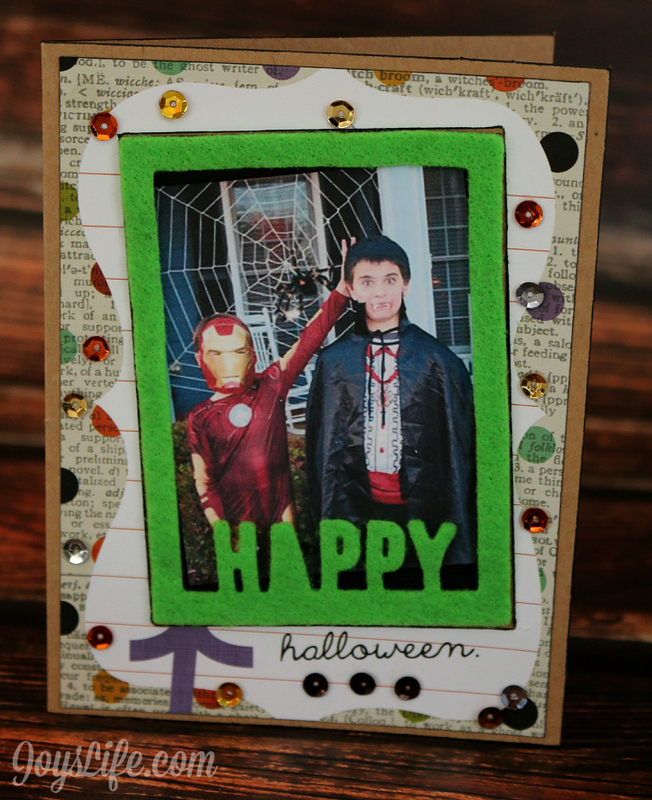 I used Simple Stories Frankie & Friends cardstock and a Core'dinations Kraft card base along with some sequins and the felt photo to make my card. I cut a space out of the patterned cardstock for the felt frame to fit. I ran a black Memento pen around the edges of the cardstock and then cranked the whole thing through my Xyron Creative Station. I glued sequins onto the card using Glossy Accents as my adhesive. Then I attached the photo using the Xyron Mega Runner. Aren't you floored at the precision of the cut felt? I didn't think it would cut but it did! Now I want to make more things out of felt using the Cut 'n Boss! I'm going to use this same die and make a Happy Birthday card. It's cool that the "Happy" is so versatile. Simply vary the word below it and you've got a whole different theme. So cool! When I'm not here you can find me at Joy's Life.com! Thank you Joy! We absolutely love this project! How exciting are you to have Joy create for us this design team term? Be sure to check out Joy's mega blog and leave her a comment! Such a great project Joy! Love the felt cutting, what a great idea!